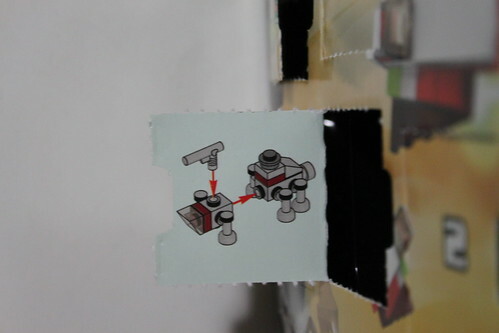 We are almost at the halfway point of the LEGO Star Wars 2013 Advent Calendar (75023). Let’s see what goodies we get today! 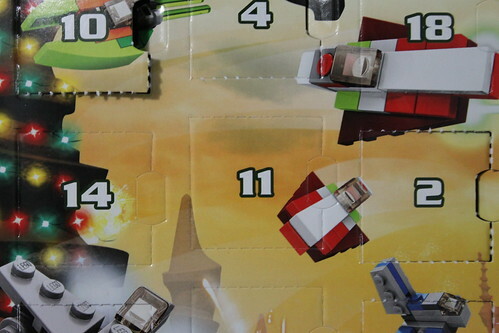 For Day 11 of the Advent Calendar, we are treated with a mini model of the AT-TE. It was used duringn the Clone Wars including the First Balle of Geonosis. 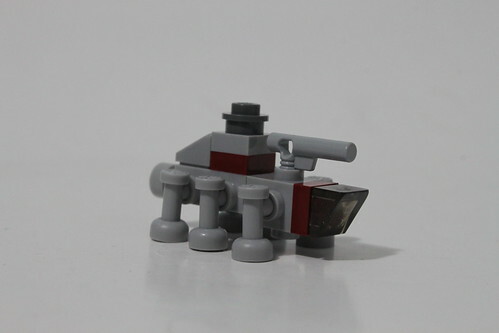 The AT-TE build has a fairly similar look to it’s counterpart. It does have an interesting cuteness look to it with its stumpy legs made of microphone pieces. Overall, I like it. You can make it out if you look closely although the stud on the top looks a little off.